The typical home insurance policy may help to pay for or replace a new TV, Blu Ray, games consoles or the vast array of tech product in the home nowadays, but if it is stolen from your house nothing can compensate for the amount of time you'll have to spend having to replace these items - not to mention the stress associated with being burgled. By the time you have dealt with the insurance company's automated telephone system, given all the relevant details to the Police and then spent days establishing current model specifications and prices for replacement goods, you'll wish you had fitted Datatag in the first place. As they say, prevention is better than cure, and our aim is to deter the burglars with a Datatag window warning decal so that they don't even bother breaking in to your property in the first place. 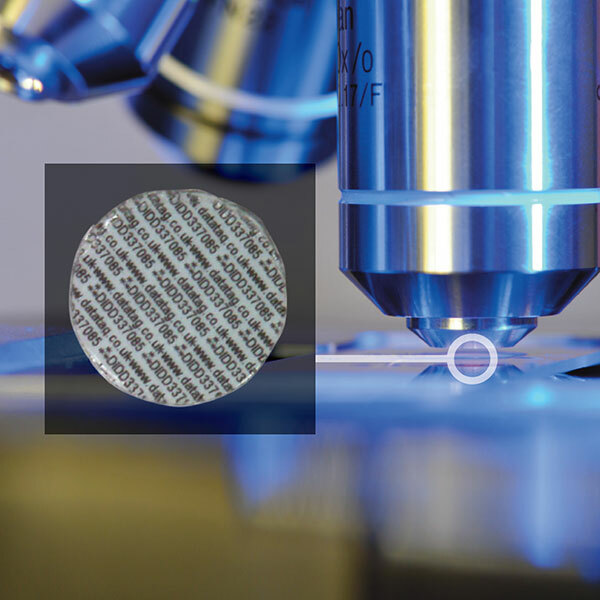 Consisting of tiny 1mm discs that give your possessions a unique fingerprint, Datatdots® can be used to mark a wide range of items. 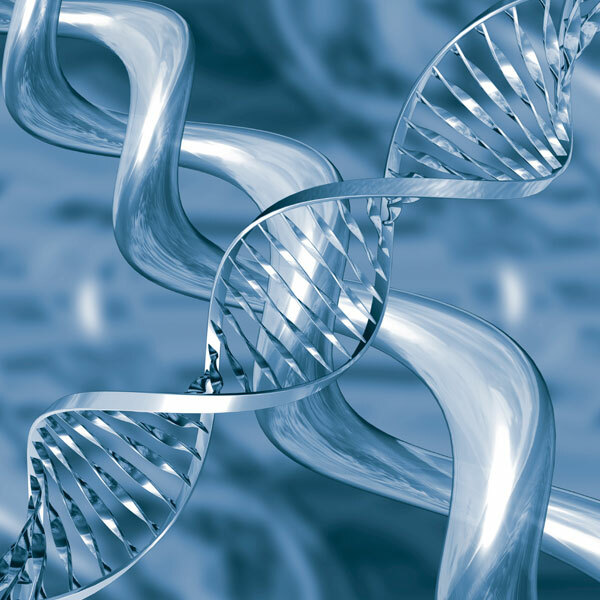 The glue that the dots are held in also contains a unique UV reactive forensic chemical DNA and finally the warning labels provide an additional deterrent. 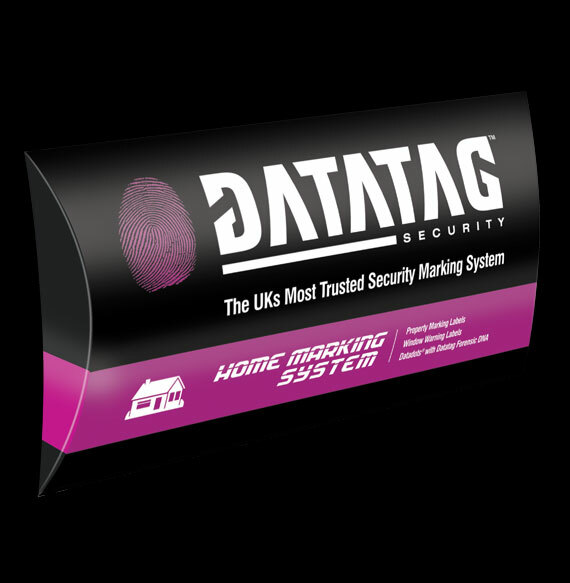 Datatag is recognised as being one of the Europe's leading anti-theft systems. Thieves know that Datatagged property is simply too hot to handle, and once they see your property is protected they will usually go looking for an easier target. 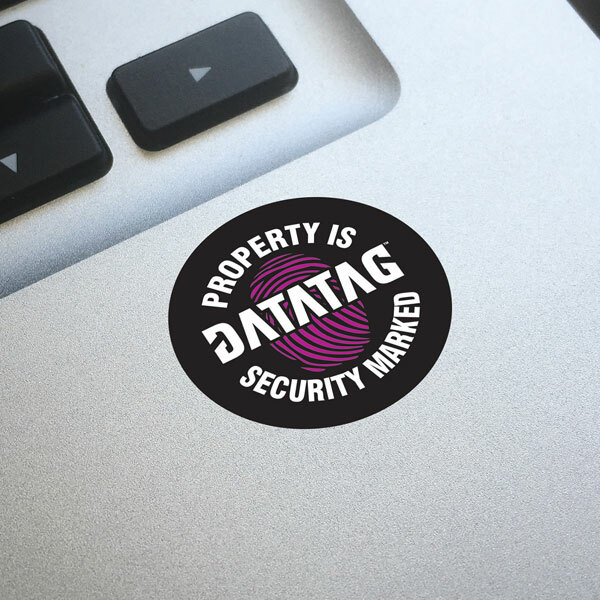 These specially designed Datatag property decals are applied to all personal items protected by the Datatag Home Marking Systems and warn off any potential thieves. They are both attractive and impossible to remove without damage. 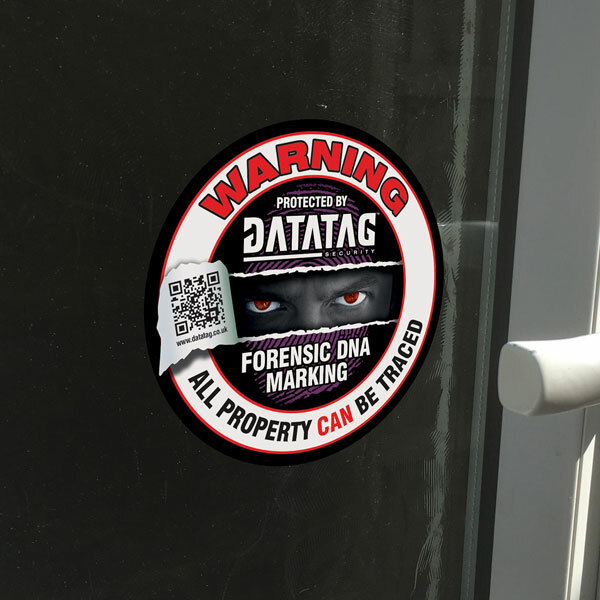 These specially designed Datatag window decals warn off any potential thieves and indicate that your property is protected by a state of the art Datatag system.